New investment leads to refreshed Conscious ChocolateConscious Chocolate officially relaunched last weekend at Natural & Organic Products Europe, following new investment from Fortissimo Group. Kallø takes stock with low-salt gravyThe latest launch from Kallø is a new organic gravy that claims to contain the lowest levels of salt in the UK. A Qwrkee take on milkNew plant-based food and drink brand Qwrkee has introduced its Pea M’lk to the UK market, initially launching into retail through Whole Foods Market. Kale fail: clean eaters’ favourites contain highest pesticide residuesWhile they are revered in ‘clean-eating’ circles, spinach and kale are ranked second and third respectively (and the highest for all vegetables) in the latest Dirty Dozen pesticide residue ranking from US non-profit the Environment Working Group (EWG). Tree of Life introduces raw choc lineNatural and organic food brand Tree of Life has created an eight-strong range of organic Raw Cacao Chocolate bars. Paul Moore announces changes at the OTBIn his spring ‘member news’ bulletin circulated on 22 March, Paul Moore CEO of the Organic Trade Board (OTB), has announced two management changes within the organization. Upton’s brings its flavoured seitan to UK marketChicago-based independent vegan company Upton’s Naturals used Natural & Organic Products as a platform to launch its Italian, Bacon and Chorizo Seitan products onto the UK market this month. Just Wholefoods celebrates 30th birthday with rebrandJust Wholefoods is celebrating its 30th anniversary by rebranding its entire 19-strong product portfolio. NattoPharma launches MenaQ7 Full Spectrum K2The latest product from NattoPharma is its MenaQ7 Full Spectrum K2, the first vitamin K2 product to deliver to deliver a gamut of menaquinone isomers. Australian researchers identify B3 ‘cure’ for deficiencies that cause birth defects and miscarriages“Landmark” research carried out at Sydney’s Victor Chang Cardiac Research Institute could in future prevent miscarriages and multiple types of birth defects, in what is being claimed to be one of the most significant discoveries in pregnancy research. Bam Organic adds to shake range, revamps packsBam Organic has added two new shakes to its all-natural Active high protein range and has undertaken a major pack redesign. Totum Sport offers plankton supportTotum Sport is a completely natural food grade supplement designed to ensure optimal performance for athletes and active individuals. Getting KIND of sportyHealthy snack bar brand KIND has entered the sports nutrition market with the introduction of its new Protein bars. Australian Bush Flower Essences reveals rebrandAustralian Bush Flower Essences has created new-look packaging as part of its wider growth strategy to appeal to new audiences and encourage consumers to try flower remedies. 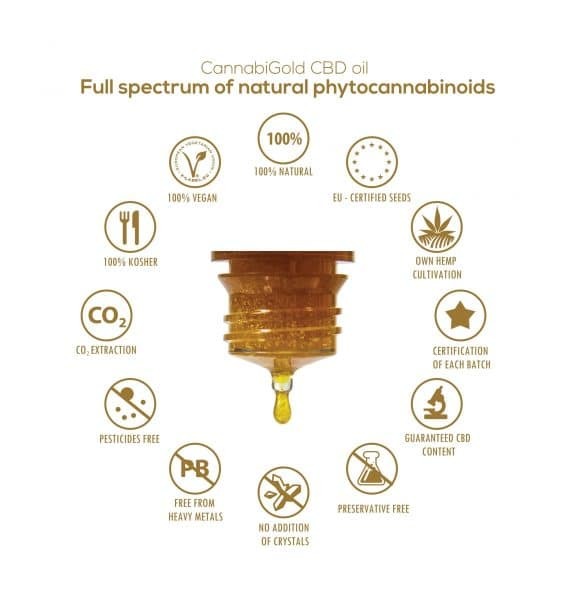 OTO brings ‘first of a kind’ CBD line to marketOriginating in the US, OTO is a new range of high-concentration CBD products set to launch in the UK this month with three essential oil CBD roll-ons: Focus, Amplify and Balance. BetterYou creates first vegan supplement sprayIn what it states is a world first, BetterYou has unveiled an oral spray specifically designed to support those on a vegan diet. ‘Who’s who in natural beauty’ open for nominationsSubmissions are now open for NPN’s ‘who’s who in natural beauty’, a countdown of the top 25 personalities who shape the natural and organic beauty industry. KissNature opens clean beauty shop onlineA new online store, KissNature, has launched in a bid to provide a one-stop shop for ethical and socially responsible clean beauty brands from around the globe. Lavera reformulates Neutral lineNatural and organic beauty brand lavera has reformulated its entire Neutral line and added two further products. Beauty Kitchen gets lippySustainable beauty company Beauty Kitchen has created a duo of Natruline alternative lip treatments that are 100% natural and petroleum-free. Natracare ‘proves industry wrong’ in NPD firstGrowing concern about the presence of fatbergs in the UK’s sewers, along with mounting plastic pollution in the world’s oceans, has led organic personal hygiene brand Natracare to develop and launch what it says is Europe’s ‘first truly flushable' moist tissue wipe. Store Brighton brings sustainable shopping to FivewaysLast weekend a new sustainable shop opened in the Fiveways area of Brighton, to cater for the plastic-free shopping needs of local residents. Huskup harnesses all-natural by-product for reusable cupsDurable, biodegradable and free from plastic, Huskup is a new reusable coffee cup produced from rice husks. NPE: ‘The window to the future’Dubbed ‘The window to the future’ by independent retailer John McKee – director of Hanover Health Foods – Natural & Organic Products Europe has announced a 3% rise in attendance figures for 2019, with an attendance of 10,298 over the two-day show at ExCeL. Infinity Foods issues statement on plasticsSussex-based co-op Infinity Foods has released a statement around its stance on plastic packaging to offer a detailed answer to the question it is frequently asked: why is its own label range not packed in biodegradable or compostable material? Double victory at Sainsbury’s NPE beauty pitchOn Monday, the inaugural Sainsbury’s Beauty & Wellbeing Live Innovation Pitch took place at Natural & Organic Products Europe, with the multiple deciding to choose not one but two beauty brands to attend a meeting at Sainsbury’s HQ and potentially land a listing. Wessanen €885MN buyout bid offers ‘longer-term horizon and stability’On Wednesday (10 April) Wessanen announced a conditional agreement on a recommended all-cash public offer by a consortium of PAI Partners SAS and Charles Jobson of €11.50 per issued and outstanding share of the healthy food company. BetterYou launches environmental enterpriseNatural health brand BetterYou has unveiled its Better Planet Project – an initiative through which the brand is seeking to reduce its environmental footprint and reliance on non-sustainable resources. H&B pledges change of culture after ‘embarrassing’ late payment headlinesHolland & Barrett is pledging a change of culture at the company after “embarrassing” disclosures this week over late payments to suppliers. Holland & Barrett accused of operating ‘purposeful culture of poor payment practices’Leading health food retailer Holland & Barrett has been accused of operating a 'purposeful culture of poor payment practices' by the Small Business Commissioner. FSE report stresses role of supplements in healthcareA report published by Food Supplements Europe (FSE) has identified supplementation as a cost-effective policy to bridge gaps in nutrition and potentially delivery valuable health cost savings. Haskell and Mezaine get Cooking for FitnessEngland Rugby star James Haskell has teamed up with Omar Mezaine – the man who cooked the England football team to victory in the 2018 world Cup – for a new healthy recipe book. PhD gets activePhD Nutrition has been chosen to become the official sports nutrition partner of David Lloyd Leisure. Welcome to the Brexit guessing game“If you want to know what happens when a country leaves the European Union, you might as well ask the Inuit.” That was the BBC’s Brian Milligan being simultaneously flippant and factual last month (factual, because Greenland is the only other country ever to have left the EU – or the EEC as it was then). NutriCentre – end of an eraDespite reports of growing losses at Tesco-owned NutriCentre and a candid analysis by its recently appointed management team of earlier operational failings, news that the supermarket is to close its specialist health and wellbeing business has shocked the natural products industry. Meat substitutes: a vegan dietitian’s perspectiveAs demand for plant-based products rockets, people are taking an interest in meatless meals. Meat substitutes seem like an obvious choice to many consumers. However, this term encompasses a wide range of foods with various pros and cons. Responsible capitalism: a manifestoFollowing his acceptance of the Award for Responsible Capitalism, Riverford Organic founder Guy Singh-Watson explains why receiving the award gave him mixed feelings. Video: 2017 Natural Beauty News RoundtableCheck out our video round-up of last week’s 2017 Natural Beauty Roundtable event, here at our Brighton offices. Wake Up To Organic 2017 – the mini-movie!Natural Products News hit the streets of Brighton yesterday to find out how the city's independent natural products retailers were marking this year's Wake Up To Organic. Here's the video we made after we got back from our whistle stop tour of the stores! Mass-market cosmetics brand Garnier is heralding a ‘new chapter’ of its development with the launch of a new certified organic range across Europe. The French company’s UK business announced on social media this week that an 11-strong organic skincare range is now available nationally in the pharmacy and beauty chain Boots – with prices ranging from £7.99-£9.99. 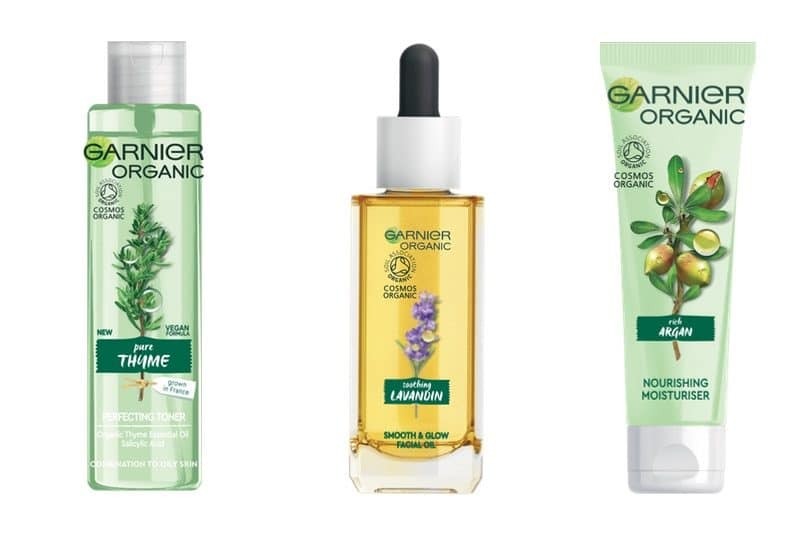 The new Garnier Organic range is based around six organically sourced ingredients: lavandin, cornflower and thyme from France, argan from a women’s cooperative in Morocco, lemongrass from Sri Lanka and konjac root from the Asian Highlands. Garnier says the range – which in the UK is certified by the Soil Association (SA) – was in development for over ten years and is also being rolled out in France and other key markets across Europe. The new launch will help Garnier take advantage of growing consumer demand for organic and ‘clean label’ cosmetics, and follows a pattern of launches and acquisitions by parent company L’Oréal. 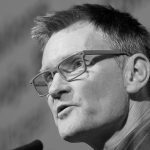 Jim Manson is Editor-In-Chief of Diversified Communication UK's natural and organic publishing portfolio. He’s written widely on environment and development issues for specialist magazines and national media, including the Financial Times, The Guardian, The Times, Time Out and World Bank Urban Age. With such a list of dedicated, pioneering beauty brands, it’s unsurprising that once again, the Nordic countries have come out on top in 2017 as being the happiest countries in the world. Natural Products is Britain’s leading trade magazine for the natural and organic products industry. Published since 1993 Natural Products provides a unique campaigning edge with a strong reputation for editorial quality and is the must-read title within the industry.